RecordMydesktop and Istanbul are two GNU/Linux applications that can record desktop activities as videos ,in a computer with Linux installed .They are the Linux alternative to Windows softwares like Camstudio . These recorded files are encoded using open file formats like Theora(for video) and Vorbis(for audio) . There are many internal settings in RecordMydesktop that can be tweaked according to the desire of the user . By default , RecordMydesktop records only the portions of the desktop that have changed . RecordMydesktop can be set to record a portion of the desktop or as a whole . 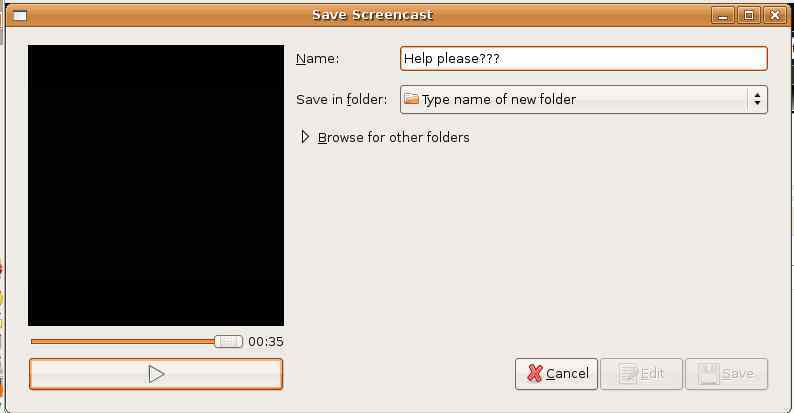 Istanbul is another Linux application that record desktop screenshots as videos .It places itself in the taskbar . We can start and stop recording by clicking on the Istanbul icon in taskbar . Videos and sound files can be recorded separately if required . Download recordmydesktop for Linux . Download Istanbul and record Linux desktop backgrounds as videos .